Margie is Professor Emerita from Mount Vernon Nazarene University, retired in June of 2011 after serving for 33 years. At the Mount Vernon Nazarene University, she was Professor of Mathematics and Director of Institutional Research. Margie earned her B.A. in Mathematics from Olivet Nazarene University in 1969. She completed her M.Ed. in Educational Psychology at the University of Illinois in 1971 and her Ph.D. in Educational Psychology, also from the University of Illinois in 1976. 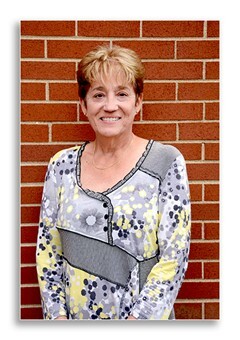 Margie was first elected to the Mount Vernon Board of Education in 1987, and was most recently re-elected in November, 2015, for a term that will expire in December of 2019. Margie was married on October 16, 1965, to Dr. Fordyce R. Bennett, Professor Emeritus and former Chair of the English Department, Mount Vernon Nazarene University. Their children and grandchildren are Kari Haxhinasto (Sokol) of Brookfield, Connecticut, with Grace (12), Ansel (8), and Micah (6); and Kristi Gruver (Aaron) of Zionsville, Indiana, with Rebecca (5) and Matthew (3). Margie feels honored to serve the children and young people of the Mount Vernon community. 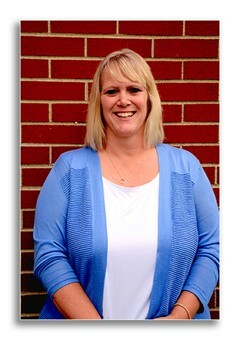 Jody is currently serving her sixth year as the administrator and pre-k teacher at Faith Lutheran Christian Preschool located in Mount Vernon. 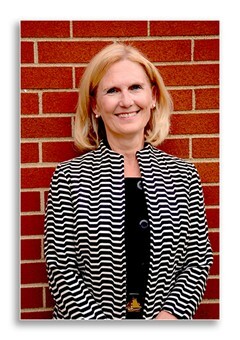 Prior to her service to the Preschool, Jody was an account executive for five years with Flynn Sabatino & Day Agency and spent fifteen years as a midwest regional marketing specialist for Wendy’s International, Inc. Mrs. Goetzman is a graduate of Mount Vernon High School and received her AAS degree from Mount Vernon Nazarene University. She is a member of the New Life Church of the Nazarene and serves as a member of the Knox County Career Center Board of Education. Jody was first elected to the Mount Vernon Board of Education in 2007, and was most recently re-elected in November 2015. Jody and her husband, Rick, have been married for twenty-five years. They are the parents of five children, three of whom have graduated from Mount Vernon City School District. One of their sons is working and coaching Mount Vernon Middle School football and summer league baseball. Another son is currently attending Bluffton College where he plays baseball, and a third son plays football at Findlay University. Their daughters are currently attending Mount Vernon City Schools. One is a junior and varsity cheerleader and also participates in competitive cheerleading at BCE in Powell. Their younger daughter attends Mount Vernon Middle School where she participates in volleyball and basketball. She has also participated in club volleyball and Ohio Storm softball. Steve is the Vice President, Supply Chain, for Ariel Corporation. For the past fifteen years, he has been responsible for Ariel’s procurement, planning, warehousing, and logistics operation. He has been with Ariel for a total of 30 years. He also worked five years for the former Cooper-Rotating Division in Mount Vernon and Liverpool, England, and was also the supervisor for the Mount Vernon Developmental Center from 1976-1980. Mr. Thompson is certified in Production and Inventory Management. 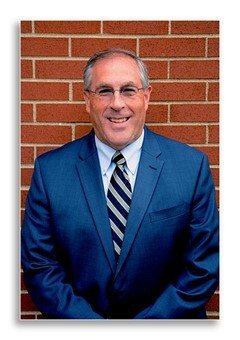 He has also completed numerous business management and strategic planning courses through Mount Vernon Nazarene University, University of Michigan, and Cornell University. In addition, he has had comprehensive leadership training from the University of Texas and Bartell and Bartell. He serves in leadership for the Church at Chapel Hill and is a member of the Knox County Career Center Board of Education. He was first elected to the Mount Vernon Board of Education in 2009, and was re-elected in 2013 & 2017. His current term expires at the end of the calendar year 2021. Steve and his wife, Janet, are the parents of four grown children and grandparents of eleven grandchildren. His entire family has attended and graduated from Mount Vernon City Schools. Steve is proud to have coached Mount Vernon youngsters in boys’ and girls’ basketball, baseball, and softball. He has also served, locally, as a mentor for the Big Brother and Big Sisters Organization. Cheryl, a graduate of Central Ohio Technical College, Columbus Business University and Mount Vernon Nazarene University (bachelor's degree in social work), brings to the board 20 years of experience in education. Positions include serving as an Education Management Information System (EMIS) Coordinator, providing insight into the architecture and standards of school and financial reporting to the Ohio Department of Education; attendance accountability; and federal reporting. A lifelong resident of Knox County, Cheryl is involved in numerous community activities, including volunteering at the Living Center, co-chairing numerous Ohio Association of Garden Club functions. She is a member of the New Shoots Garden Club and provides services to two local non-profit boards; That Place on Market and Arms of an Angel; and is a recipient of the Mount Vernon Rotary; Service Above Self Award. ; Most recently, Cheryl received her group exercise certification from the Aerobics and Fitness Association of America (AFAA) and teaches fitness classes locally. Cheryl and her husband, Dave have two children, both of whom graduated from Mount Vernon High School. Megan, a graduate of Wright State University, is the Director of Recreation and Fitness at Armstrong Atlantic University in Savannah, GA. Michael, who lives in Knox County, completed his education in Environmental Restoration at Hocking College and is employed by the Knox County Engineers Department, Knox County Highway. Elected to the Mount Vernon Board of Education in 2011, Cheryl will start a new term in January 2016. Current board responsibilities include serving on the Grounds and Building Facilities Committee, plus the Finance Committee. In addition, she has served as a Board legislative liaison to the Ohio School Board Association. A strong proponent of quality education, Cheryl is an advocate for district financial stability and school leadership accountability. She applauds the administrations leadership team for their forward-thinking approach and highly supports blended learning strategies for student growth and optimum educational experiences. 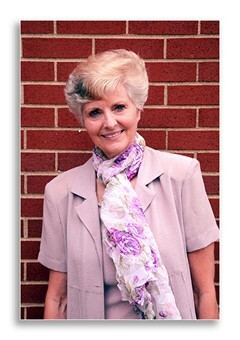 Mary retired in 2011 after serving for 35 years as a K-5 general music teacher in the Mount Vernon City School District. For a brief time in the mid 70s, she taught in the Loudonville - Perrysville School District. Mary has a Bachelor of Music Education from The Ohio State University and a Master of Education from Marygrove College in Michigan. She is a 1970 graduate of Mount Vernon High School. Since 1972, Ms. Rugola-Dye has been the Director of Music at St. Vincent de Paul Church. She also serves as vice-chair of the Knox County Democratic Party, member of Ex. Co of Ohio Democratic Party, and is a member of the Knox Substance Abuse Action Team. Mary was elected in 2013 to serve her first term as a Board of Education Member. She was re-elected in 2017 and her term will expire on December 31, 2021. Mary has one son and two grandchildren.